Scania (Great Britain) Limited launches bespoke Customer Satisfaction Index solution to help improve network performance and response times. Scania (Great Britain) Limited, which introduced its first Customer Satisfaction Index (CSI) more than 20 years ago, has launched a new tailor-made CSI solution which has been specifically developed to help improve the performance of its UK service and sales network. With information collected made available to Scania managers via a secure online portal, two key features of the new system are that it provides Scania’s managers nationwide with instant access to their customers’ feedback and system-generated alerts are sent to individual managers whenever a customer requests an immediate response. “While many organisations today operate CSI systems, few are geared up to act upon their findings quickly, efficiently and effectively,” says Harjinder Atwal, Director – Services Development and Service Sales for Scania (Great Britain) Limited. “From the customer’s point-of-view, this can create an issue as nobody wants to spend time giving their opinion only to find no action is taken as a result. 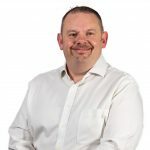 “So our new CSI system has been created to ensure that feedback is seen by the appropriate manager, or managers, as soon as possible in order that appropriate action can be taken without delay. The alert routine built-into the system takes this to another level by providing an instant notification whenever a customer asks us to contact them. 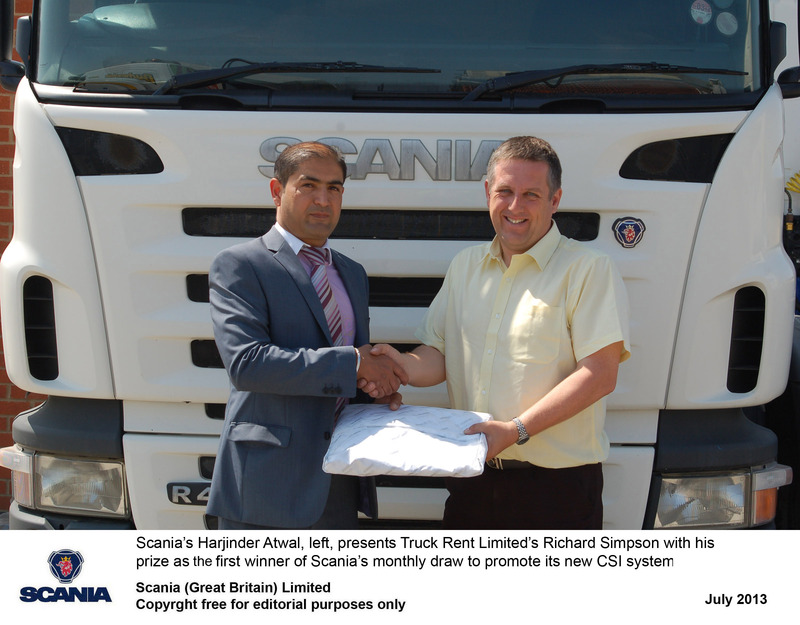 To help promote the new CSI system, Scania is currently running a monthly prize draw. The photograph accompanying this release shows the winner of the first draw, Richard Simpson of Spalding-based Truck Rent Limited, receiving his prize of a Scania jacket from Harjinder Atwal.